Building a Collection, National Gallery of Art, Washington, 1997-1998, no. 78, as Landing in England. 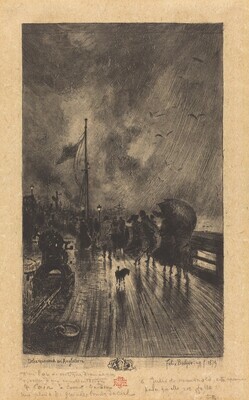 The Prints of Félix Buhot: Impressions of City and Sea, National Gallery of Art, Washington, 2005-2006, no. 49, as Landing in England.